Servers you order at Contabo will be installed in English language by default. 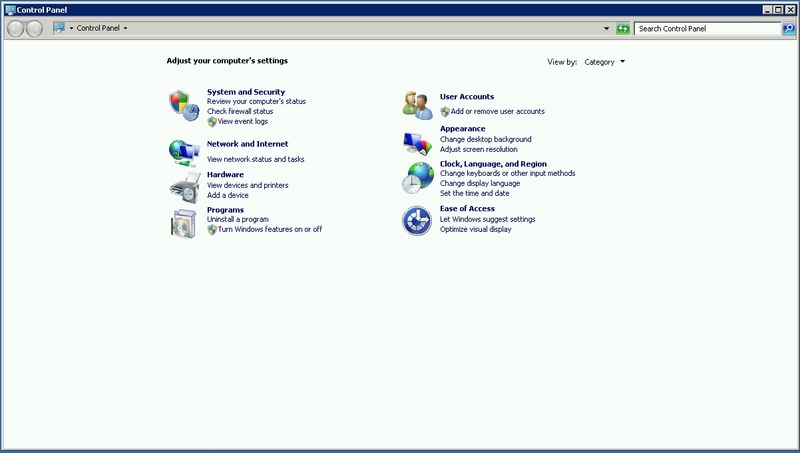 If you want to change the display language the following guide will help you to perform this on your Windows Server 2008 R2 step-by-step. All steps should be performed on your server directly, if you are using Internet Explorer you may need to disable the "Enhanced Security" mode temporarily. To change the language pack in Windows Server 2008 R2 Service Pack 1 you need to download the desired language pack here. Please choose the desired language from the dropdown menu. The website will be reloading and you will have to wait until this reload is finished since you will be downloading the English language pack by default otherwise. Once the website has switched to the language of your choice, click on "Download" (will now be shown in your chosen language). After the download has finished, you need to run the .exe-File. The following window will open to update you about the installation status. 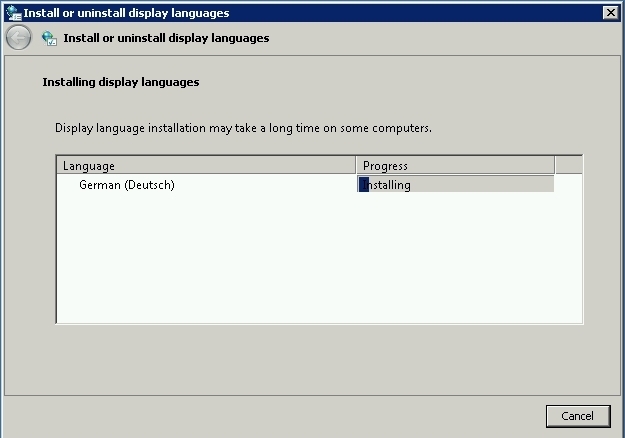 Once the installation has been completed, please enter the Control Panel of your server and click on "Change display language" in the section "Clock language and region". Choose the desired language in the dropdown menu and confrm with "Apply". 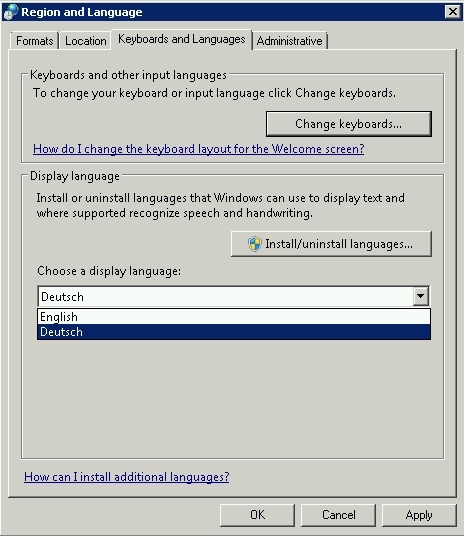 After you logged out and back in again Windows will be shown in the chosen language. 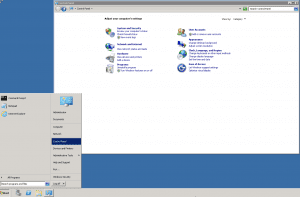 To modify the language system-wide also for the welcome screen and new user accounts, please enter the Control Panel again, and click on "Change display language". In the "Administrative" tab click on "Copy settings". 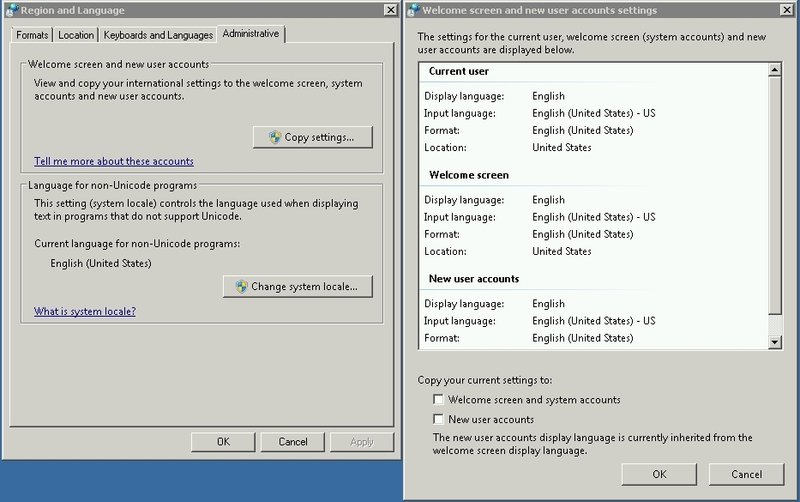 Confirm the checkboxes for copying your language settings to „Welcome screen and system accounts“ and / or to „New user accounts“.